The air is heavy and complicated. The temperature is sweltering. Humidity saturates it. I try to be outdoors to acclimatize to the conditions and a build up a tolerance. But when heat and water vapour combine to such a degree that sweat does not evaporate, a casual stroll becomes at first a test of my ability to be miserable and bear it, and shifts into a measure of intense physiological defense. Building exteriors add layers to the heat, blowing swirls of mechanical exhaust from air conditioner condensers. The double-doors of a shop are wide open so when walking by I am invited by a cool artificial jet-stream of capitalist air. After stepping inside, beads of sweat disappear and drenched clothes are super cooled in an instant. It feels both blissful and worrisome. Is evaporation emotion? The answer is YES. The industry standards for thermal comfort were devised by ASHREA (American Society of Heating, Refrigeration and Air Conditioning Engineers) in the mid 20th century. It has evolved somewhat since the standards were first established but largely remains the measure by which companies construct thermal conditions for working spaces and offices using documents called The Comfort Index, and Comfort Zone Chart. Spare Room presents Is Evaporation Emotion? 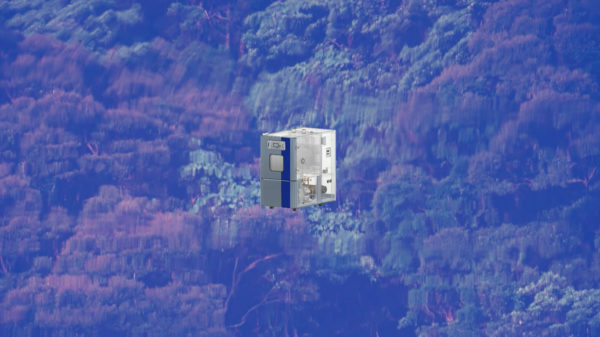 A solo exhibition by Tegan Moore — Moore will present a construction of an alternative climatic chamber, built to emphasize aspects of thermal comfort not thoroughly explored by ASHRAE, considered through the optics of haptic, visual, and feminist interpretations. Using provisional and passive methods for situating air, the exhibition proposes that the problem of standardized thermal comfort is the invisibility of its production, and the design of homogeneous environments. A visual feedback of air conditioning looks instead at a non-technical and poetic interpretation of a climatic chamber based on the emotional support structure of the community. As a brief reversion of Jacobo Zambrano’s previous exhibition, a series of events will be hosted within the climatic chamber in the duration of the exhibition utilized as a vehicle for miscellaneous discussions. SPARE ROOM wishes to thank the Ontario Arts Council for support in the presentation of this project. Tegan Moore is an artist from Toronto, currently based in London, Canada. She has a BFA from Emily Carr University and an MFA from Western University. She has exhibited in Toronto and Vancouver at Zalucky Contemporary, G Gallery, MKG 127, 221a, Access, and Unit/Pitt. Her work will be featured in Canadian Art’s upcoming editorial “Climates”. Moore recently returned from a residency at Tokyo Arts and Space, where she was researching Setsuden/energy conservation, DIY cooling techniques, and design for resilience and adaptation. Her work in Tokyo was heavily influenced by the record heat wave that settled over Japan in July 2018. (1) Murphy, Michelle. Sick Building Syndrome and the Problem of Uncertainty, Duke University Press: 2006. © 2019 spare room .